Link building usually describes anything you do to point hyperlinks back to your website from third-party websites. These links help to get traffic to your site and allows others to find your website. 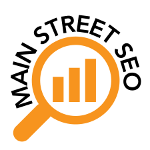 Most importantly assists in having your site found by search engines such as Google. Search engines, through use of complicated algorithms, give better search result rankings to those that have more links to their website. Links equate to value on the web. It should be noted that search engines also have other criteria that determine their results, but inbound links are often given the most weight. While website owners are impacted by incoming links, outgoing links are of importance as well. Not only can outbound links transmit from one domain to another, they can also link to another pertinent page on the same site. So it’s important to have outbound links on your site.